3mm thickness. Superfeet FLEXlow insoles offer long-lasting comfort for most activities & for tighter fitting footwear. 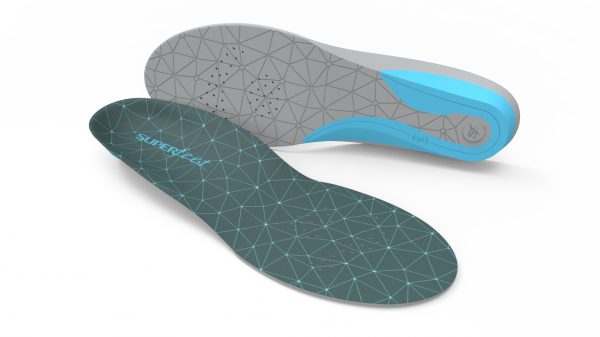 ● Helps stabilize and support the foot and positions the soft tissue underneath the heel to help naturally absorb impact. ● Durable viscoelastic closed-cell foam absorbs impact to deliver long-lasting comfort in tight-fitting footwear. ● All natural coating that inhibits the growth of odor-causing bacteria.